WE GP35 2671, now with the "standard" lettering, idles away at Rook Yard. 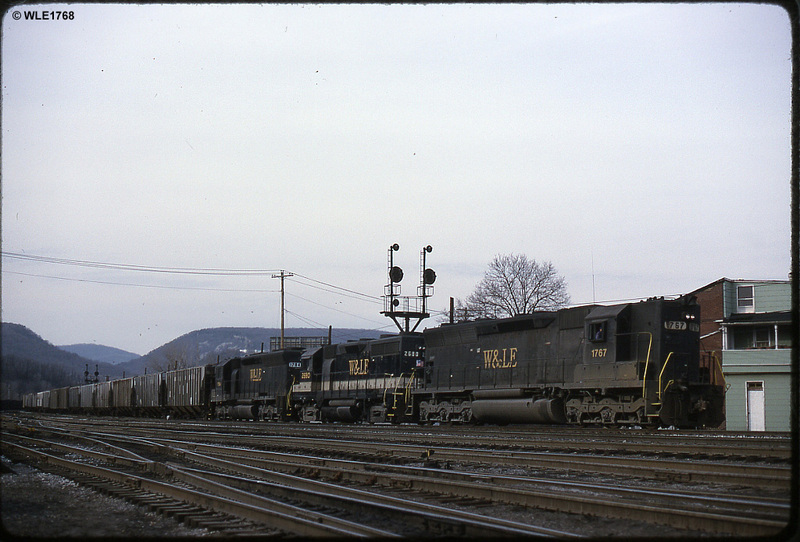 Eastbound RC-1, with 3 GP35s and 34 cars, sits in Rook Yard, awaiting a crew. 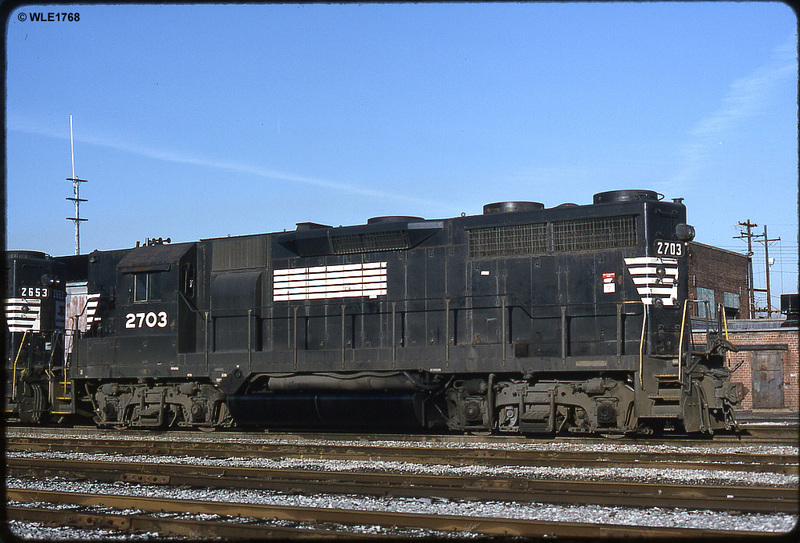 2703, one of only two units (the 2704 being the other) built for the Southern that received Blomberg trucks, instead of the trade-in RS3 trucks, is the second unit on RC-1. 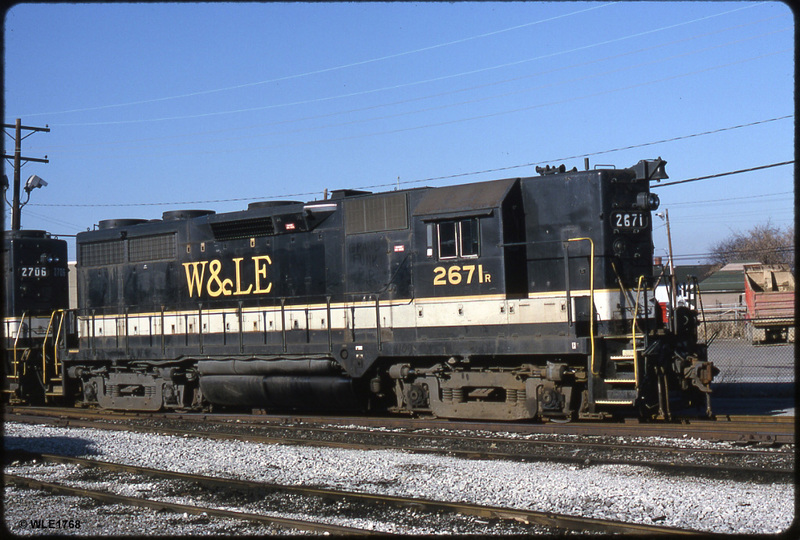 WE GP35 2652, also carrying the "standard" lettering, is at Rook Yard. 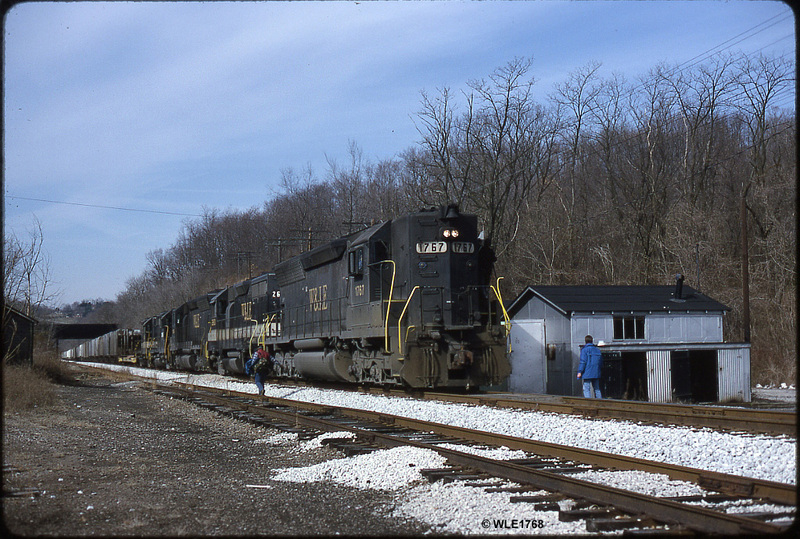 Eastbound CRR-2 is seen at Mifflin, Pa with 7 cars and 9700 HP. 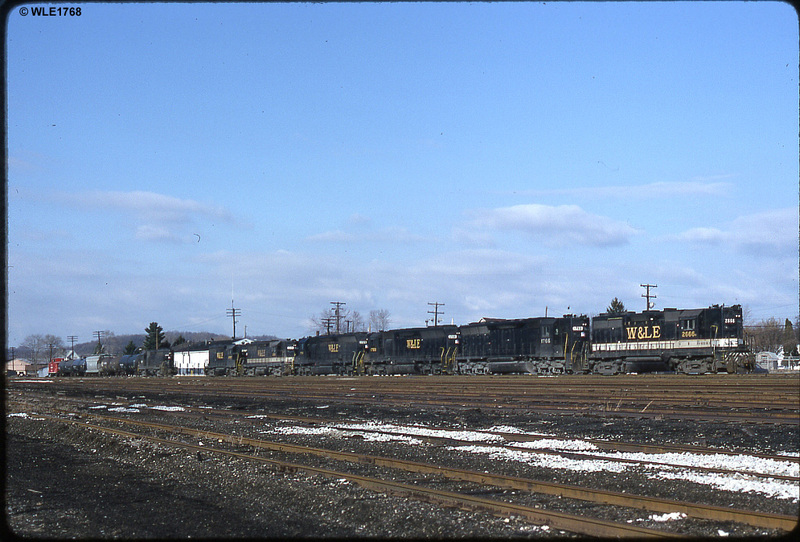 3,600 Wheeling horses rest in the old P&WV Rook Yard. 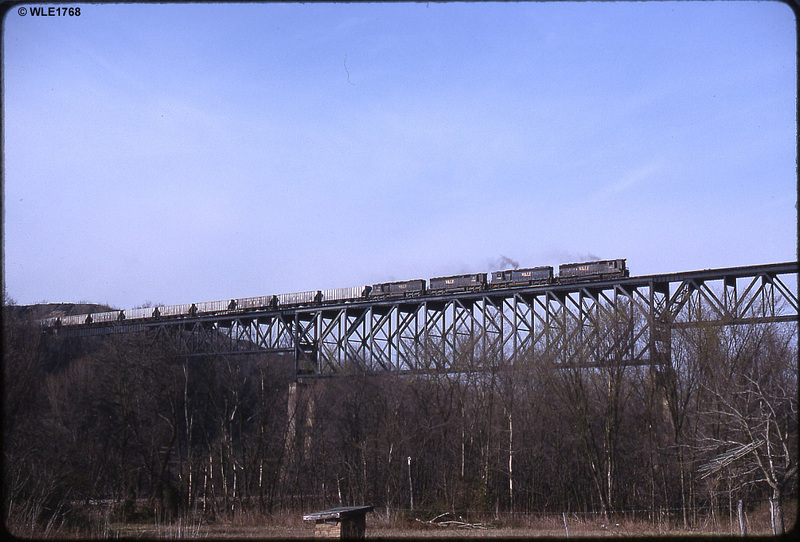 At 12:27PM, eastbound W&LE train MRK-1 sails over the Mingo Creek viaduct. 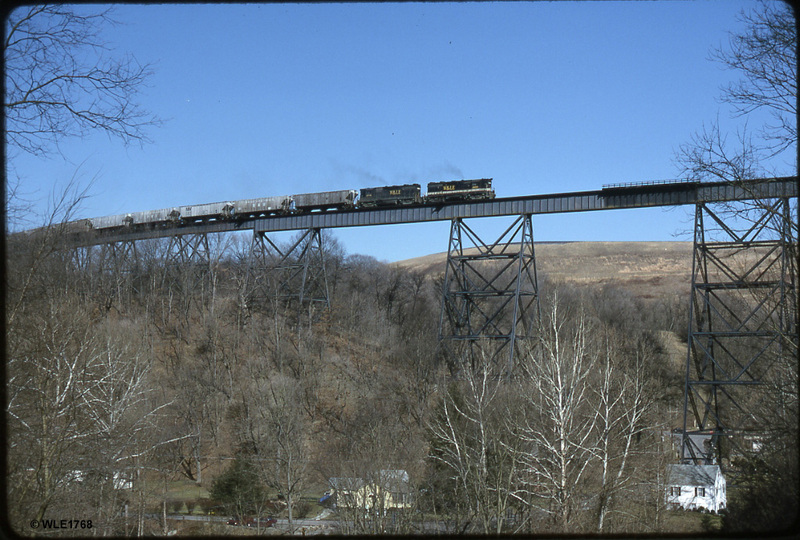 W&LE Z499, one of the 1st W&LE grain trains to Hagerstown via CSXT, passes through Greene Jct just outside Connellsville, PA on former B&O rails with 54 loads. The track going off to the left was the FM&P, popularly known as "the Sheepskin". It's now part of the SWP. Z499 is seen passing Virginia Lane in Cumberland, MD. 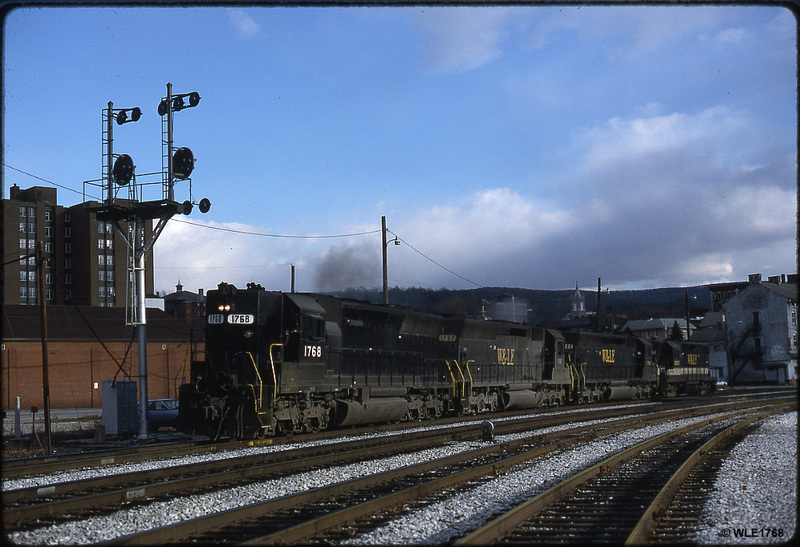 The next day, the W&LE power returns light and is seen passing the westbound Sodem (Connellsville) signal, and will soon be back on P&WV rails. The crew must have turned the power on the wye is CSX's Hagerstown Yard to avoid running long hood forward the entire way back to Rook. 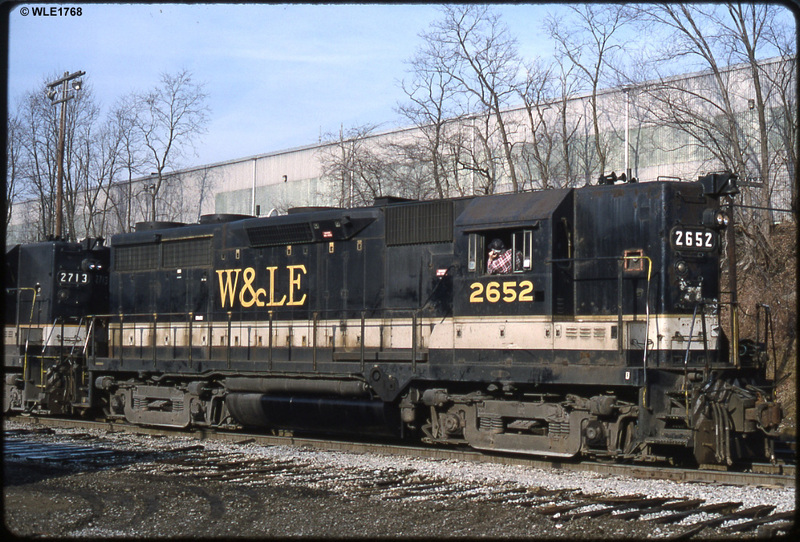 Still carrying it's original W&LE lettering, the 2682 is seen at Rook, Pa. Some of the black has been touched up, and an American flag added to the nose. You can almost smell the fresh paint on the 2656! 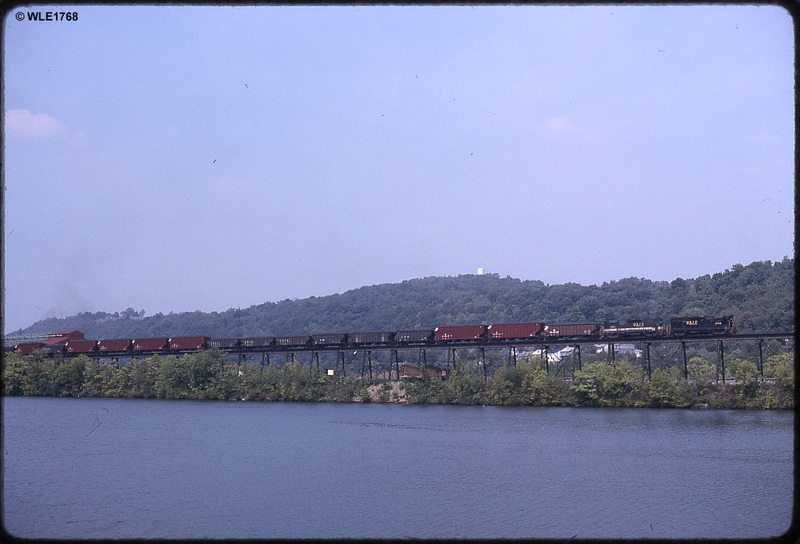 An eastbound Rook Extra, with 37 cars, is seen at Monessen, Pa. The rear two units and first car would be let here, with the remainder of the train going to Hagerstown. 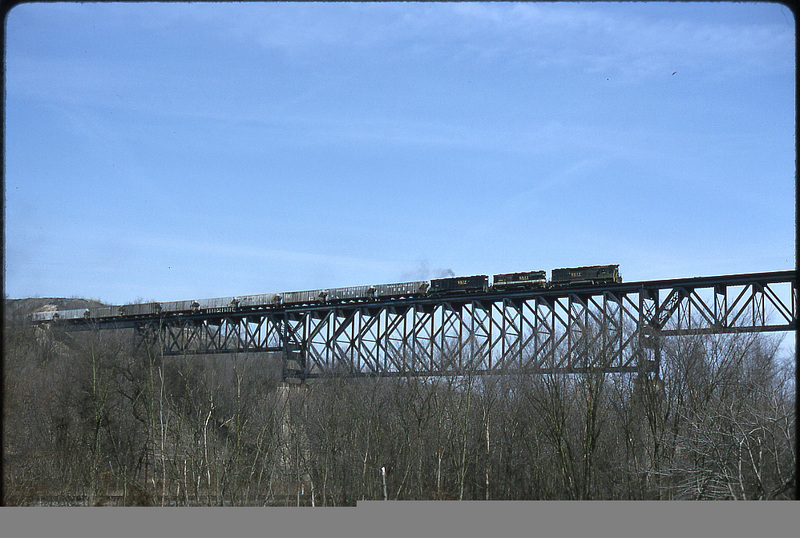 At 11:44AM, the Rook Extra rolls over the Banning bridge. 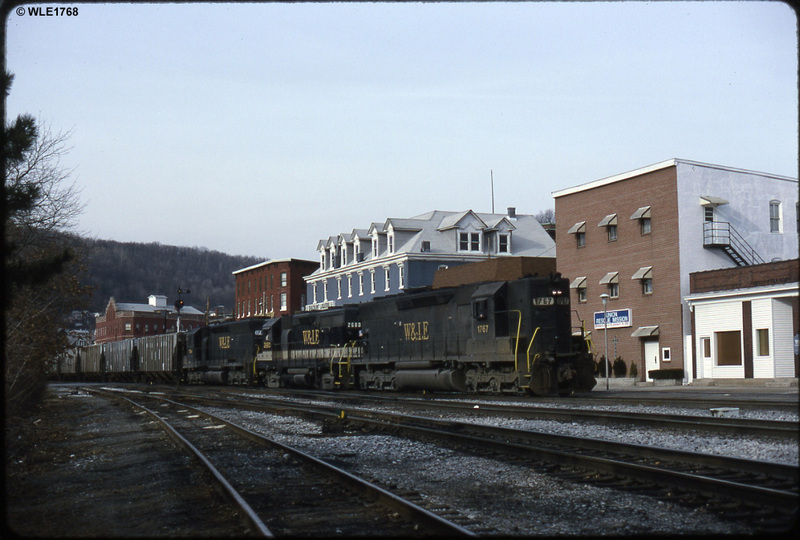 This time, symboled Z463, the grain train is seen crossing Baltimore St. in Cumberland, MD on CSX track. The old B&O CPL above the train is long gone, just like all the units in this shot. The Union Rescue Mission, on the other hand, remains. Our last view of the Z463 is at the Virginia Lane control point. Again, all the CPL's here, are gone. 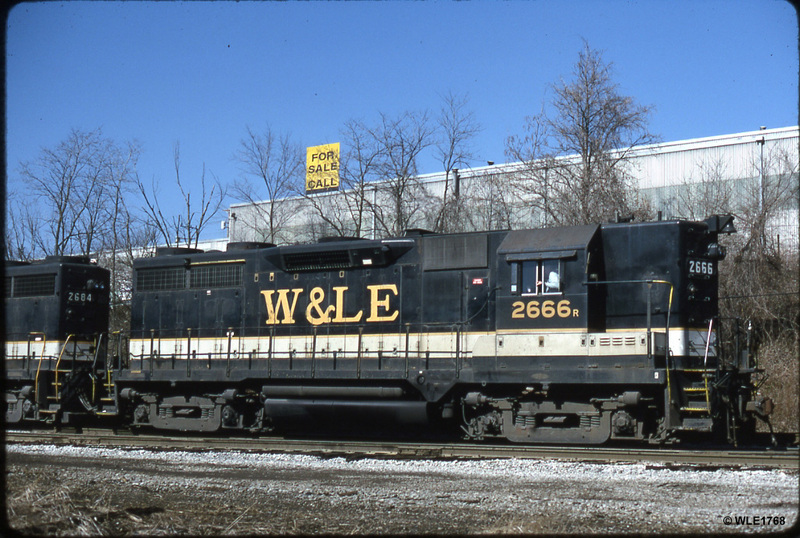 This shot gives a good look at how much of the long hood the W&LE repainted on the 2680, as the shiny paint and dull/dirty paint contrasts very well. 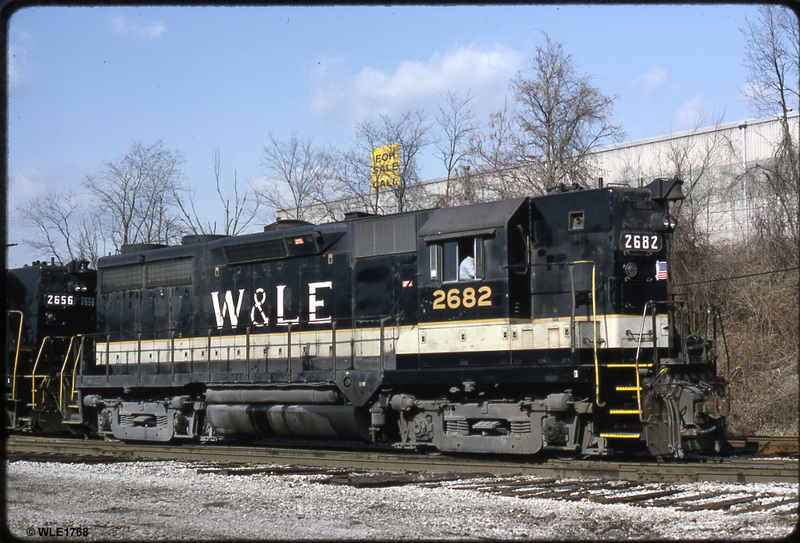 By this time, almost all of W&LE's units carried this "standard" lettering, but there were some hold-out's, like the 2666, which we will see later. 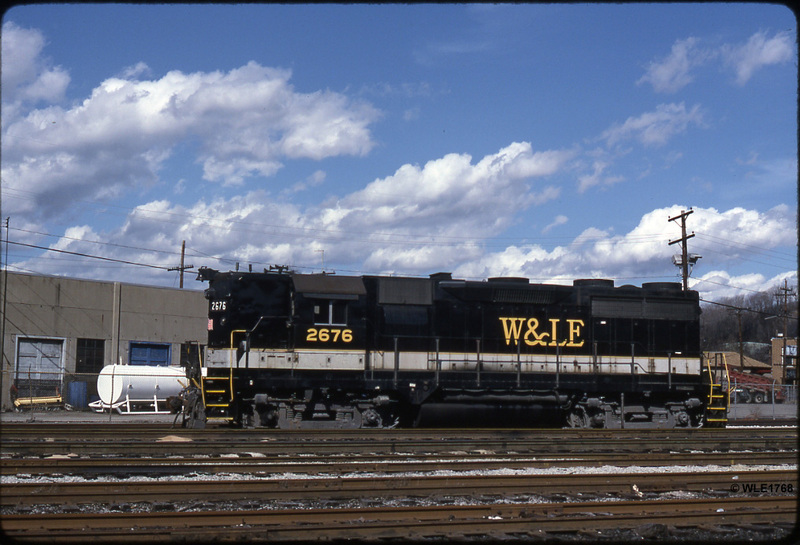 Now we have the 2666, wearing it's second version of the W&LE lettering. I would guess that this came in-between the "standard" lettering and the first attempts. 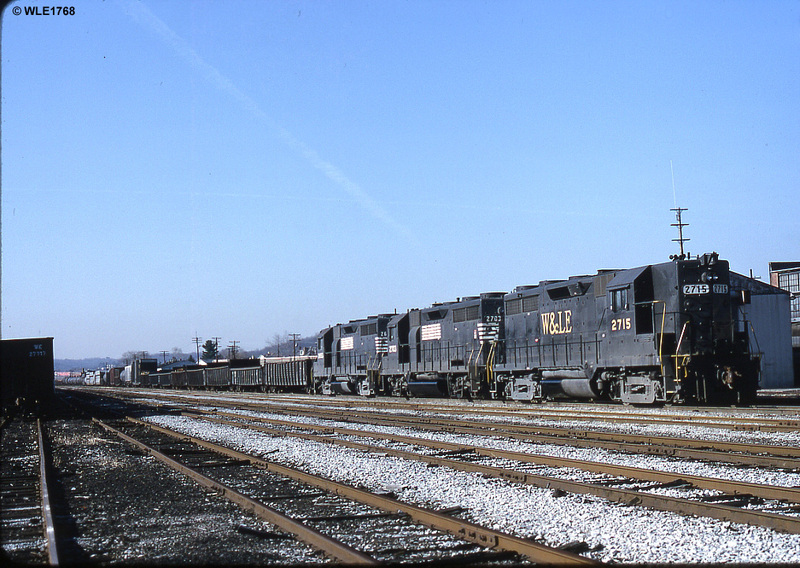 This unit suffered an electrical fire and was out of service for some time in Brewster until being the first rebuilt GP35. Today, she carries the Rio Grande inspired paint scheme and the roadnumber 100. 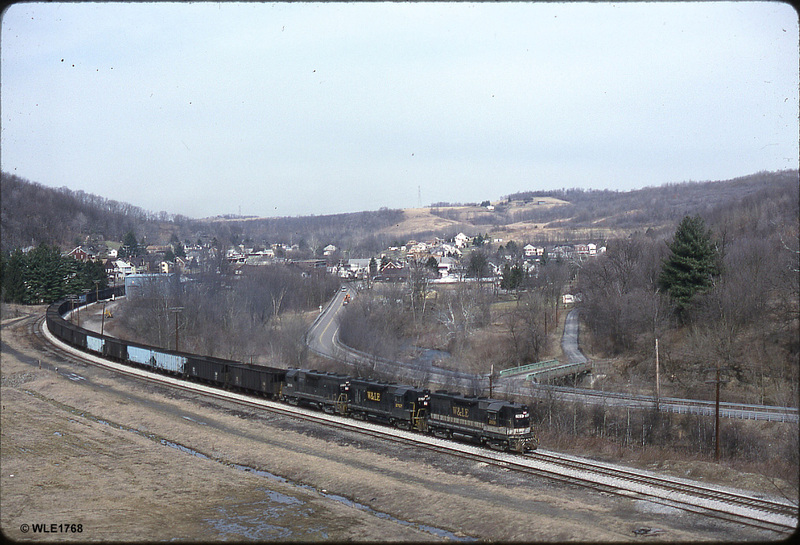 Passing through Avellla, Pa. this eastbound MBR is seen from a hillside of 're-claimed' land. 20,800 Horsepower in one shot! 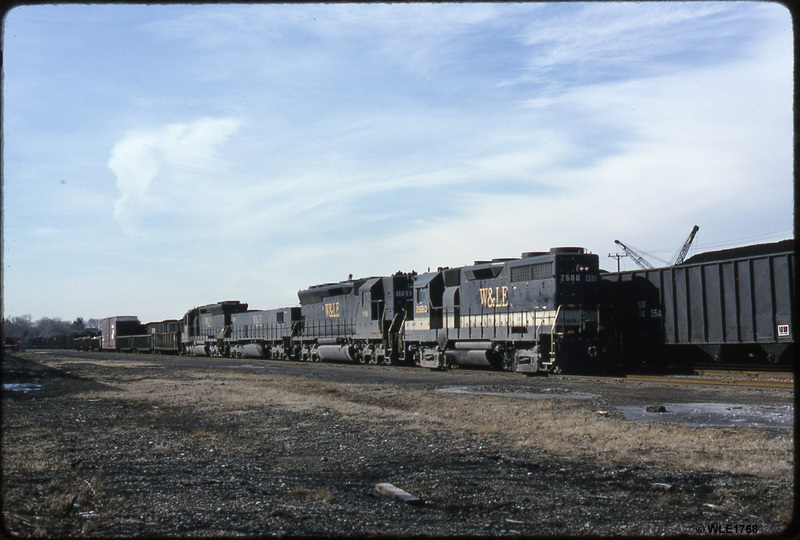 Three SD45's and 4 GP35s lay over in Rook Yard. The Rook Pool caboose can be seen in the background as well. WE SD45 1769 at Rook Yard. 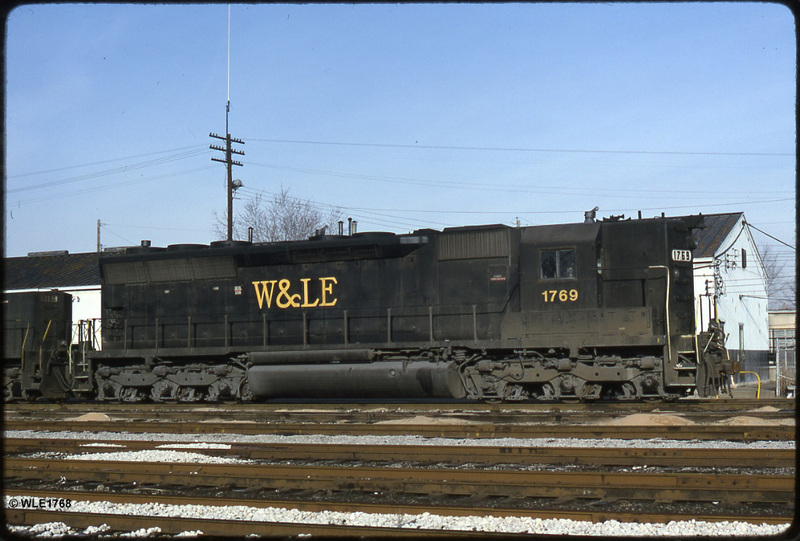 The acute observer will note that the W&LE merely repainted the old numbers yellow, as this is the same font that was on here when it carried N&W paint. 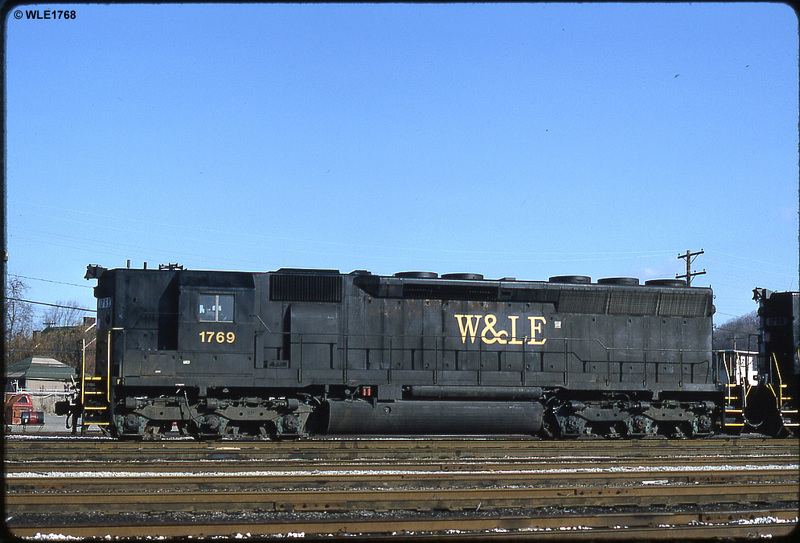 Due to the 1768 being repainted by NS, and receiving the Southern-styled numbers, it was one of the, if not the only, SD45's that had numbers like the GP35s did. 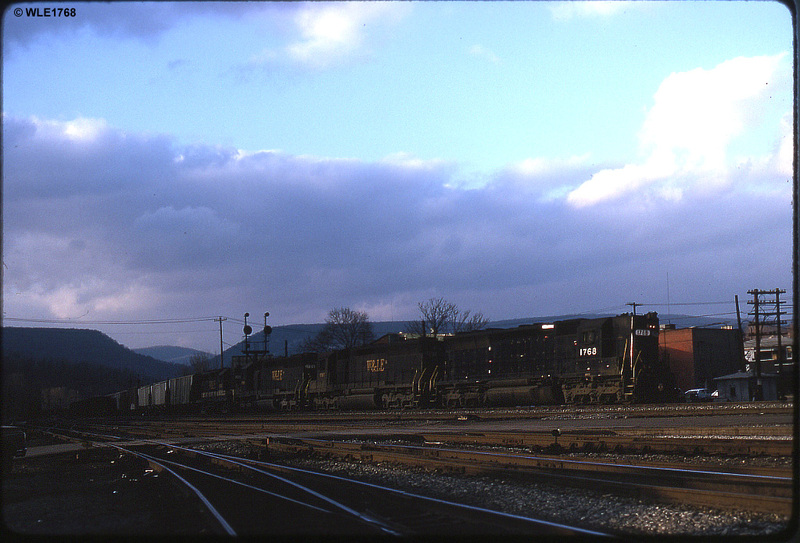 14,400 Horses lug another eastbound Rook Extra toward CSX rails at Banning, Pa.
Meet at Rook... Well, sorta. An eastbound MBR, with the 2664 leading SD45 1765, RP-E6Y 9950 and SD45 176x sits adjacent the the 2659 towards the east end of Rook Yard. 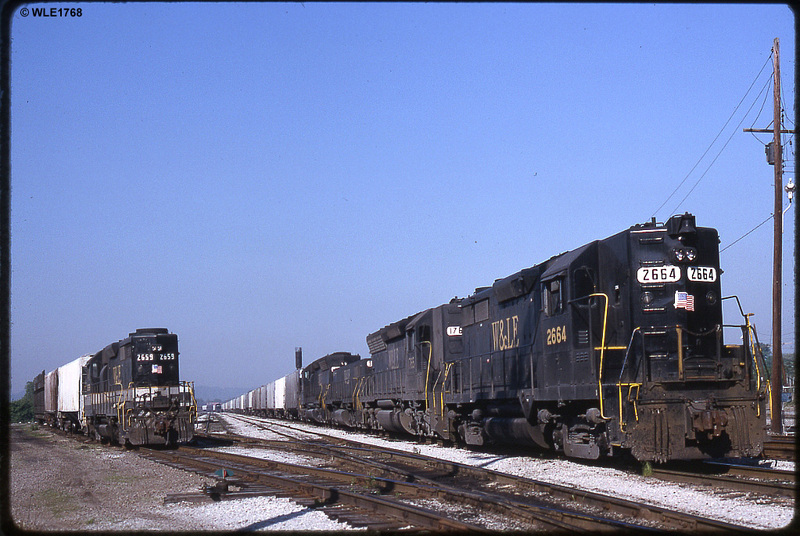 An interesting item in this shot is the N&W autorack behind the 2659, indicating that the Auto Ramp at Rook was still active at this late date - but, I could also be wrong. 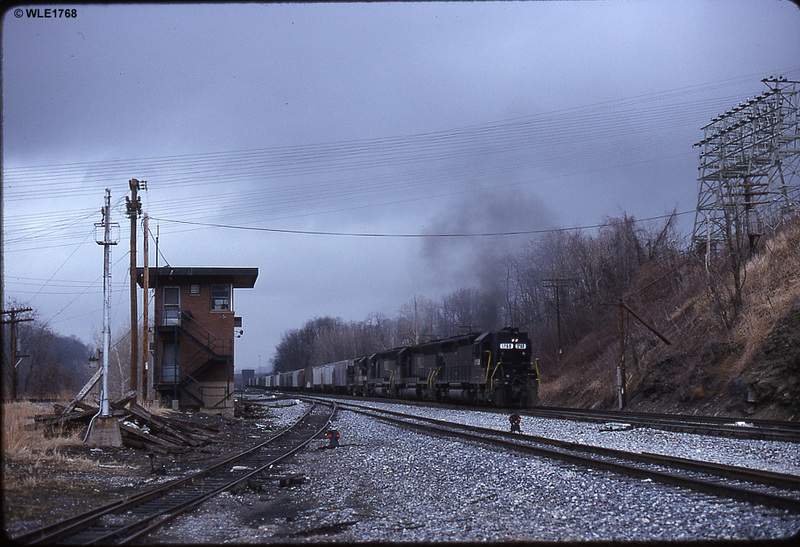 At Belle Vernon, Pa. we see this westbound UCR coke train pulling loaded CR and P&LE hoppers towards the main.